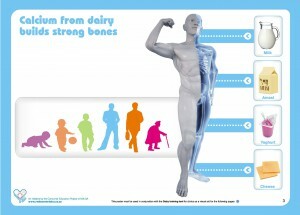 The Clinic Project, which is one element of the Consumer Education Project of Milk SA (CEP), aims to promote the well-being of consumers by communicating nutrition and the role of dairy to a particular target market. 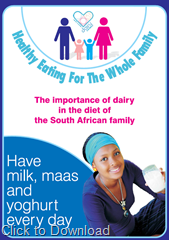 The project is aligned with the South African food-based dietary guidelines of the Department of Health (DoH) of which one of the guidelines state: Have milk, maas or yoghurt every day. The training of Nutrition Advisors and Health Promotors forms part of the CEP’s Clinic Project and takes place in different government clinics in all nine provinces. 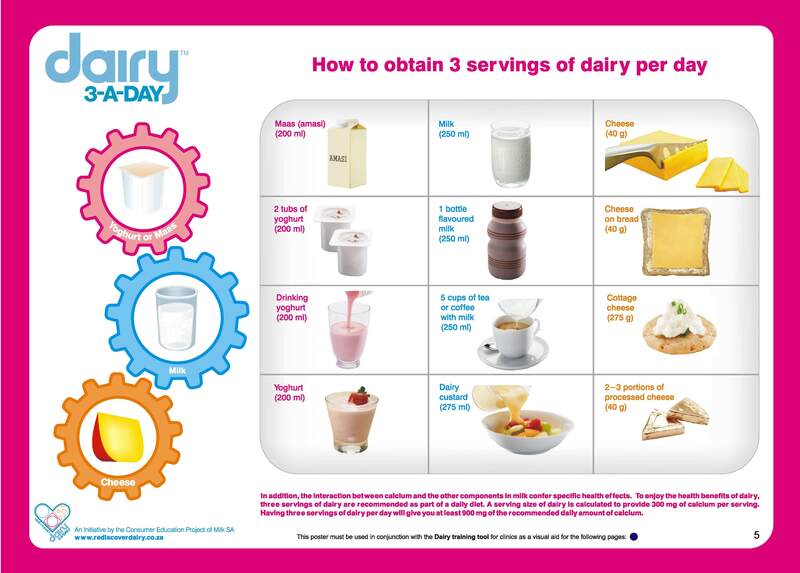 This training project aims to communicate a balanced diet including the importance of dairy in the diet of the population and demonstrates how dairy can easily be added to daily meals for added nutrient value. 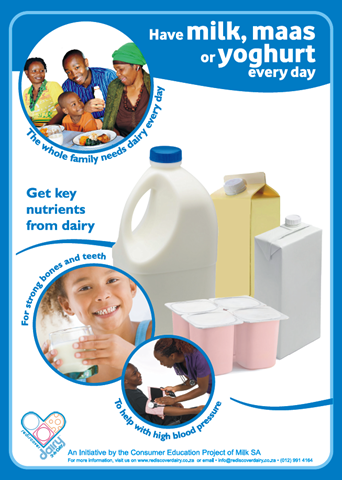 Nutrition Advisors and Health Promotors are individuals with basic nutrition and health education who are employed by the DOH and work in government clinics. 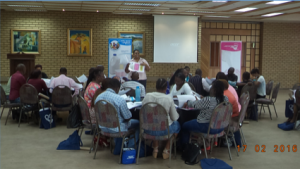 The dietitian of the CEP trains the Nutrition Advisors and Health Promotors who, in turn, educate patients and visitors on an ongoing basis at their respective government clinics. 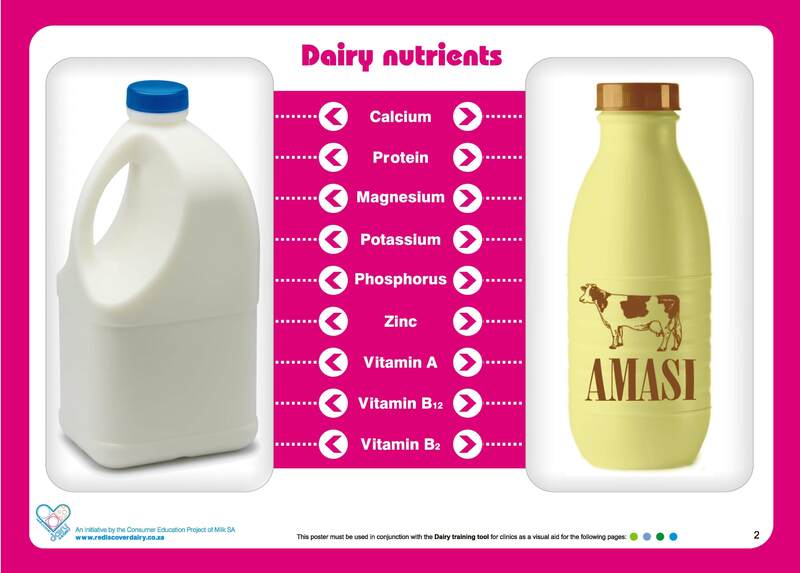 The key communication message is ‘Have milk, maas or yoghurt every day’ plus associated nutritional and health benefits of dairy as part of a healthy diet. 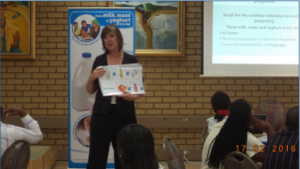 To ensure successful uptake of the messages, CEP makes use of an organisation who specialises in communication with the target audience, to work in conjunction with the dietitian of the CEP to present the health messages in the vernacular language of the local community. 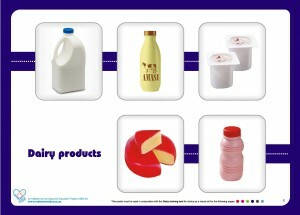 This is an A4 flip chart that is used for consumer or patient education by Nutrition Advisors and Health Promoters. 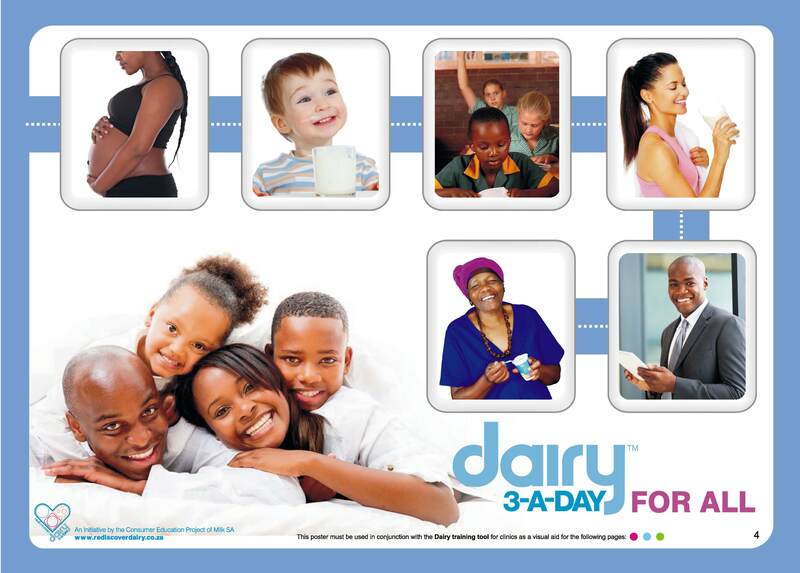 This is an easy to use A3 training tool to guide the consumer on how milk and dairy fits into the daily diet of the South African family. 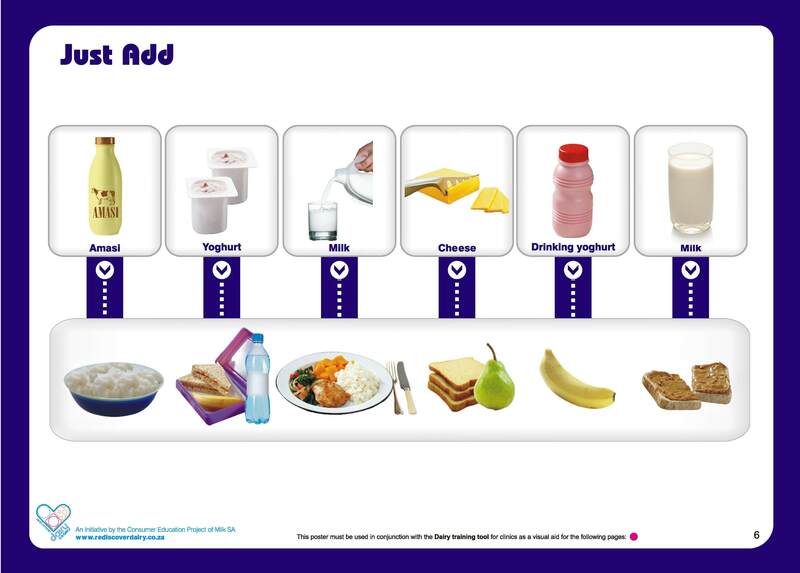 This tool is a great visual representation of several important topics to address healthy eating during different life stages. Each clinic gets one copy. 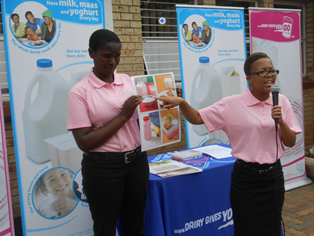 The clinic project is coordinated by the Consumer Education Project of Milk SA, while trained health promoters from Awuzwe Health and Wellness Communication present educational messages on the health benefits of dairy to consumers attending the clinics. 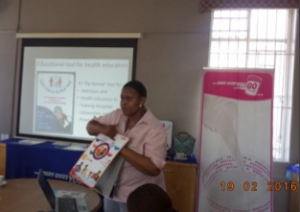 Awuzwe Health and Wellness Communication have seven years’ experience in health promotions in clinics and hospitals and a has level 1 BEE status. 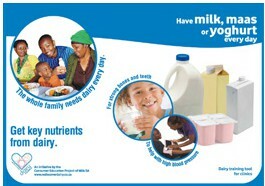 They have a well-established relationship with the Department of Health and are community leaders in the various areas. A leaflet and a poster, that advocate the goodness of adding dairy to the daily diet, were developed to enhance the educational impact of the campaign. 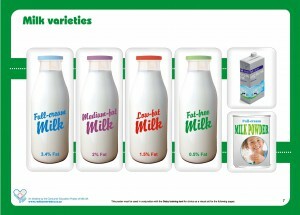 All the materials have been designed to meet the requirements of the target audience. 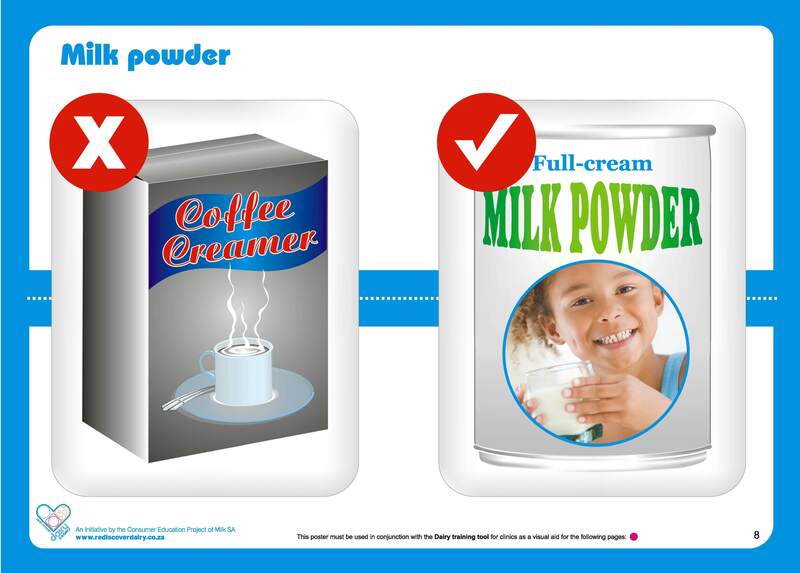 The leaflet is available in English, Afrikaans, Zulu, Sesotho, Northern Sotho, Tsonga, Venda and Tswana and serves as a hand-out to consumers during the show. 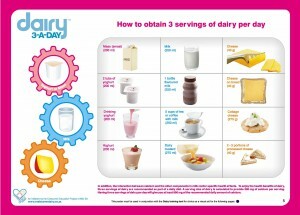 Copies of the poster are given to each clinic to keep for future use during educational activities. 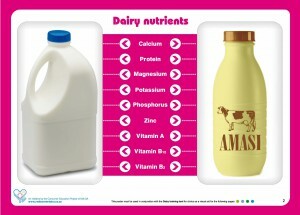 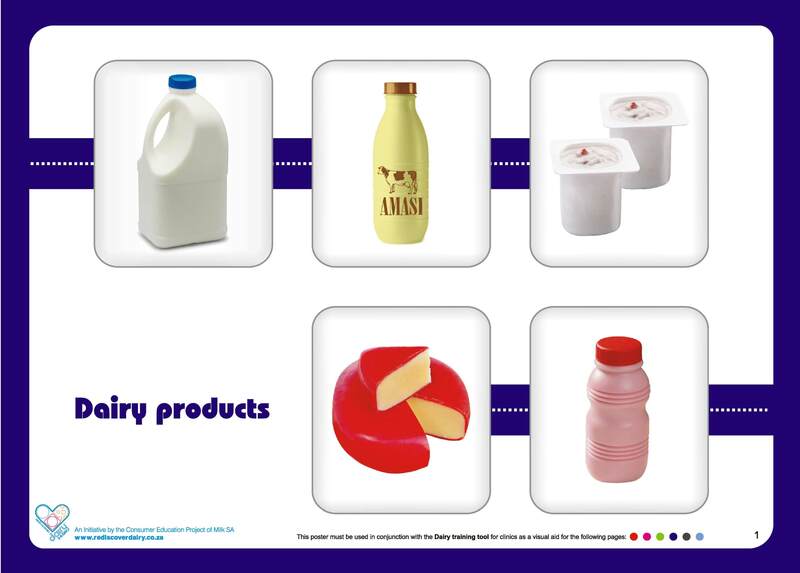 Above are the two banners that are used during clinic presentations to communicate the messages that there are many nutrients found in dairy in dairy and that it is important to ‘Have milk, maas or yoghurt every day’. 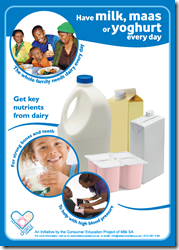 The poster ‘Have milk, maas or yoghurt every day is provided to government clinics for them to display to their patients waiting at the clinic. 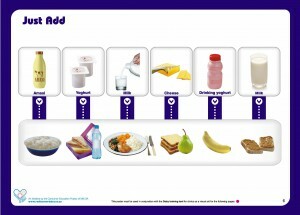 Wellness TV was one of the communication channels used for Specialised Communication. 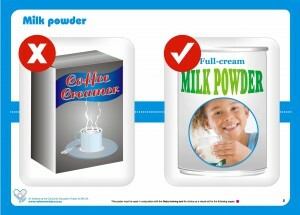 The concept entails education TV in the waiting rooms of provincial government clinics. 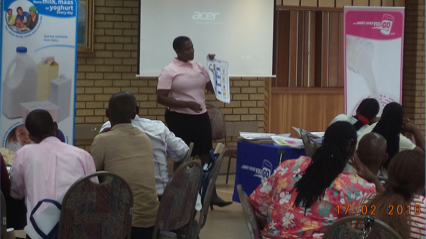 Televisions are set up in government clinics across Gauteng and viewed by patients visiting the clinics. The target market is primarily low-income consumers (LSM 3 – 7).